Compression bandages are extremely useful in helping to reduce swelling in legs and in generally helping to improve circulation to the legs. 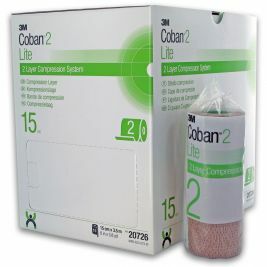 The different compression bandages which are offered by Care Shop are available in a range of different sizes. 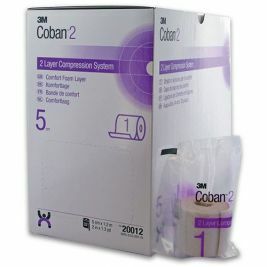 The Coban 2 Compression System Comfort Foam Layer is available in 5cm, 10cm, 15cm and 20cm sizes and can be used to provide therapeutic treatment for conditions such as leg ulcers. They are designed to adapt to the contours of the leg which will give the patient greater mobility. 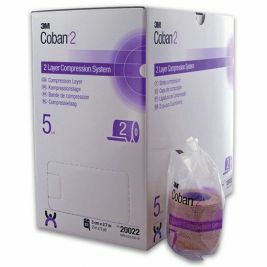 Full compression bandages may not be suitable for all patients and to cover this possibility Care Shop also stocks the Coban 2 Lite Compression System Compression Layer. The Lite Compression System is latex free and will provide greater comfort to patients who cannot tolerate the pressure of full compression. 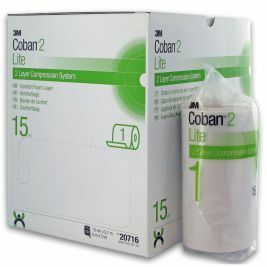 The Lite Compression System is particularly suitable for use in the treatment of venous leg ulcers where full compression would not be appropriate. 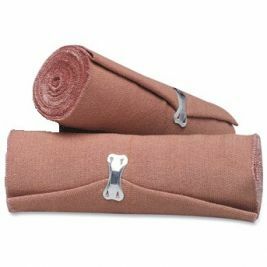 All of the compression bandages sold by Care Shop are available in economically sized 3.5m rolls. Compression There are 14 products.